NASHVILLE, Tenn. -- Voters in Nashville have overwhelmingly approved a ballot measure to create a community oversight board to investigate claims of misconduct against police officers, reports CBS affiliate WTVF. A coalition of social justice advocates pushed to place Amendment 1 on the ballot in part in response to a series of fatal shootings of black men by white Metropolitan Nashville police officers, reports the Tennessean. The proposal was heavily opposed by the Nashville Fraternal Order of Police, the city's police union. The measure, which would amend the Metropolitan Nashville Police Department's charter to form an 11-member panel with investigative powers to review alleged police misconduct, passed by a margin of 59 percent to 41 percent, according to the Tennessean. It would also have authority to make advisory recommendations for Nashville's criminal justice system, said Community Oversight Now, the advocacy group that organized the ballot measure. Board members would be unpaid volunteers nominated to their posts and should have "demonstrated knowledge of and/or experience with civil rights, policing, racial justice, criminal justice, or other similar issues," according to the group. Current and recently retired law enforcement and elected officials would not be eligible. 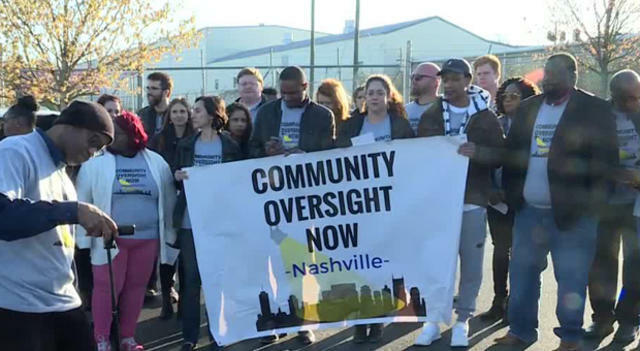 Community Oversight Now was formed in February 2017 after a white Nashville police officer shot and killed 31-year-old Jocques Clemmons, who was black, after a traffic stop near an East Nashville public housing complex, according to the Tennessean. The killing prompted calls for justice from Clemmons' family and a demand for community police oversight. More recently, a white officer in July shot and killed 25-year-old Daniel Hambrick, who was black, as he ran away during a foot chase in North Nashville. The officer who killed Hambrick was charged with criminal homicide, while the officer in Clemmons' shooting was never criminally charged. Community Oversight Now reportedly collected more than 8,200 petition signatures in order for the citizen oversight board measure to be placed on the ballot. In a statement released to the paper, the group hailed Tuesday's vote as a "historic moment." "This victory is the outgrowth of a people's movement — the transformative energy of hundreds of volunteers and everyday people representing diverse racial and ethnic groups, faith traditions, young and old," the statement said. The proposal drew strong support from black voters. Kiyala Hatcher, 20, told Nashville Public Radio it was her primary reason for voting. "It would be helpful if we can have people be held accountable for their actions and not just a slap on the wrist," she said. "I feel like it'll put a lot of people at ease." The Nashville Fraternal Order of Police, which reportedly organized a well-financed opposition campaign to the measure, vowed in a statement to respect the will of the people. But the union said it "remains firm in its belief that this board will only create a divide between law enforcement and the public." The union had argued that the proposed $1.5 million operating budget for the community oversight board would negatively impact taxpayers. "The endorsement of Amendment one to create an oversight board does nothing to undermine the professionalism that Nashvillians have come to know from their police officers and – although the FOP still believes that an expensive oversight board is an unnecessary redundancy that we simply cannot afford – we intend to work with the administration as it seeks to implement the amendment in the coming months," the statement said. "Excluding the perspective of those who are on the front lines every day would do a disservice to both our members and the community at large." The union has argued in court that supporters did not collect enough signatures to put the measure on the ballot; the Tennessean reports a state appeals court will take up the issue Dec. 5. Nashville would join more than 120 police jurisdictions across the country that are subject to some form of community oversight board, according to the National Association for Civilian Oversight of Law Enforcement, including Atlanta, Boston, Chicago, Baltimore, New York, Los Angeles, Dallas, New Orleans, Miami, Philadelphia, St. Louis and Washington, D.C.